Vodafone Fiji has thrown its support behind the revival of Rakiraki Carnival. The carnival is being revived after a lapse of 10 years. Speaking at the opening of the carnival Vodafone Fiji head of corporate affairs and e-commerce Shailendra Prasad said the festival would revive the spirit of celebration. 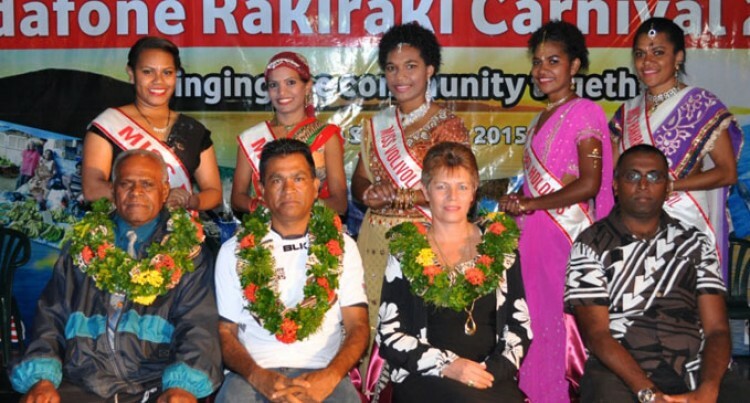 “The 2015 Vodafone Rakiraki Carnival marks the revival of the carnival after more than a decade. “Vodafone Fiji is proud to empower the Rakiraki Town Council and the carnival committee in staging the much awaited landmark event in the newest town of Rakiraki,” Mr Prasad said. “We are delighted to put in our share towards the people of the vanua and with the committee are able to support and benefit the Rakiraki populous. “Vodafone is committed to bringing the carnival back to life in paving way for the communities of Ra in partnership with business houses, food vendors, entertainers, government departments, NGO’s and contestants. He said the four day event would be a boost for the Ra province. “The town caters for a large community in the province of Ra and we are confident that the four day carnival will generate much needed funds for Rakiraki town development and beautification projects. “I am also glad to announce the participation of six bold and beautiful women who will grace their presence in this year’s carnival. “These six young women will utilise this platform to advocate on this year’s Carnival theme ‘Bringing the community together’ in vying for the Miss Vodafone Rakiraki Queen title. “Vodafone Fiji has and will continue to support and financially boost the events, activities and sports in our communities to guide our objective of positive societal footprints,” he said. The carnival began yesterday and close tomorrow.